ENIGMA provides support to all members of the general public. We are fully accredited members of the Counselling Society, Hypnotherapy Society, members of the British Association of Counselling and Psychotherapy (BACP) and the Federation of Holistic Therapists. We are bound by the Ethical Frameworks for Good Practice. ENIGMA are pleased to be able to provide details of additional therapists and other health professionals offering complementary therapies and other healing strategies to improve overall wellbeing. Sometimes there are no obvious reasons why individuals' find life a struggle. All they know is that they require some assistance. By using counselling or "talking therapies", people are able to make sense of problem areas in their life and gain a purpose or sense of direction. Counselling can be useful for addressing some specific areas in your life and can be used short term to bring about lifestyle changes. 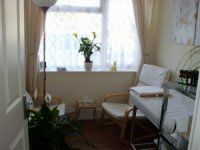 Couple counselling is available at a flat rate charge of £30.00 per 60 minute session or £45.00 for a 90 minute session. To book counselling please contact 07921 313966 or use the Contact Us webpage at the back of this site. Psychotherapy is a continuation of the counselling process but looks in more detail at past behaviours, patterns of thinking or at more deeper rooted issues such as challenging childhood events or losses. Psychotherapy is more intensive and usually takes the form of longer term therapy. To book psychotherapy sessions please contact 07921 313966 or use the Contact Us webpage at the back of this site. Mediation can be used in situations where two parties are in a conflict situation but are both in agreement to resolve their issues with the use of an impartial mediator present. This process allows both parties to be heard in a safe and confidential environment and to work together to bring about a satisfactory resolution to the issues presented. To book mediation sessions please contact 07921 313966 or use the Contact Us webpage at the back of this site. Hypnotherapy is a completely safe and harmless form of psychological therapy. It can be employed to improve physical conditions. These can include areas such as concentration, self esteem, self confidence, sport performance amongst others. Hypnotherapy uses a relaxing technique to allow the individual to reach a peaceful, inner calmness thereby reducing anxiety and stress related symptoms. To book hypnotherapy sessions please contact 07921 313966 or use the Contact Us webpage at the back of this site. Reflexology works on the principle of manipulation and stimulation of reflex areas in the feet and hands. These correspond to bodily glands and organs. Reflexology can assist health problems and are instrumental in providing relief from Asthma, Fatigue, Headaches/Migraines, Menopause, Sleep Disorders amongst others. To book reflexology please use the Contact Us webpage at the back of this site. Hopi Ear Candles provide a non-invasive treatment of the ears which can be used to treat a variety of conditions in a practice known as "Thermal Auricular" therapy. This therapy can assist with promoting lymphatic circulation, relieving ear pain, tinnitus and alleviation of allergic conditions or chronic sinusitis. To book Thermal Auricular Therapy please use the Contact Us webpage of this website. Indian head massage can assist physical and emotional wellbeing by improving blood and oxygen flow. Indian head massage provides massage to the upper back, shoulders, arms, neck, face and ears and uses a combination of reflexology, acupressure and aromatherapy. To book Indian Head Massage therapy please use the Contact Us page of this website. Taster sessions of all of the above therapies can be organised and planned for individuals' on a tailor made basis dependant upon their needs, budget and time constraints. Complementary therapies are also available for local "pamper" evenings such as charity events and school/church fundraising activities. To book these evenings please use the Contact Us page on this site. Reiki is an unobtrusive form of healing which helps maintain body balance. Whether individuals' are stressed, recovering from illness or just a little out of salts, Reiki can assist the body's healing. To book a session or obtain further information please contact Dawn Smith on 07870 949967. To book this service, or find out more, please contact Chrys Ashford on 07889 616945.